On April 29, 2017, Rho Epsilon Zeta chapter participated in the March for Babies event that took place in Marietta, GA. 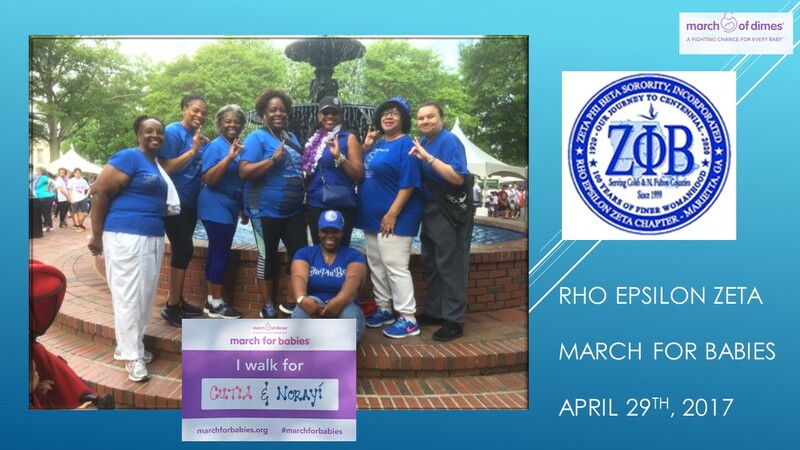 This event is near and dear to our hearts because we have many Sorors who have had to deal with the challenges that come with the loss of a child or premature births. It was a great honor and pleasure to represent our beloved Zeta Phi Beta Sorority, Inc.